There’s tension in Camdenton this month as a national religious freedom group advocates for the removal of a mural that contains religious symbols in a government building in Camdenton. The Freedom From Religion Foundation, a national non-profit organization based in Wisconsin, is pushing Camden County officials to remove religious symbols from the Camden County Courthouse. The group’s purpose is to keep religious endorsement separate from government entities across the U.S. so that one religion is not excluded or favored over another. Colin McNamara, the Robert G. Ingersoll Legal Fellow for the FFRF, says he was sent a complaint in October from someone who noticed two religious images in the courthouse while voting. 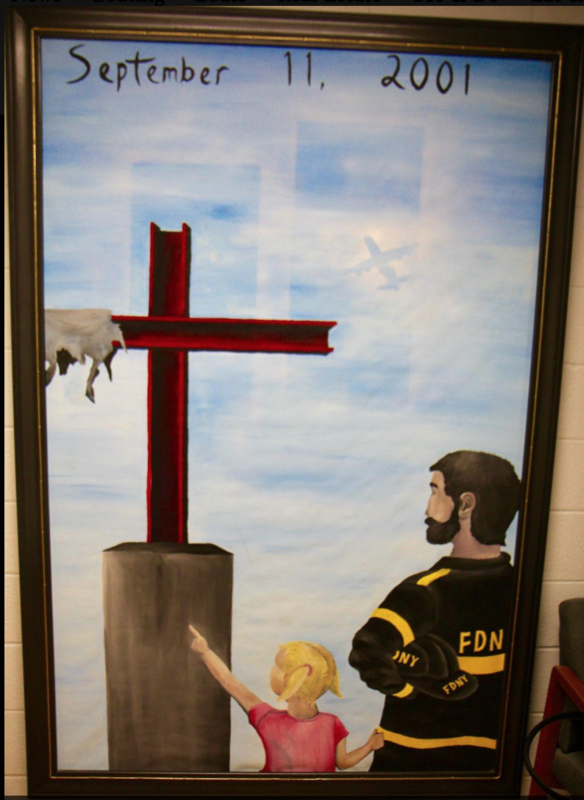 The complainant described a framed painting with a bible verse hanging on the wall above the ballot box and a 9/11 mural depicting a cross at Ground Zero with a firefighter and a young girl observing the scene. McNamara sent a letter to the county clerk asking they remove both the bible verse and the mural from the courthouse. Camden County officials took down the bible verse, but put more consideration into the mural. 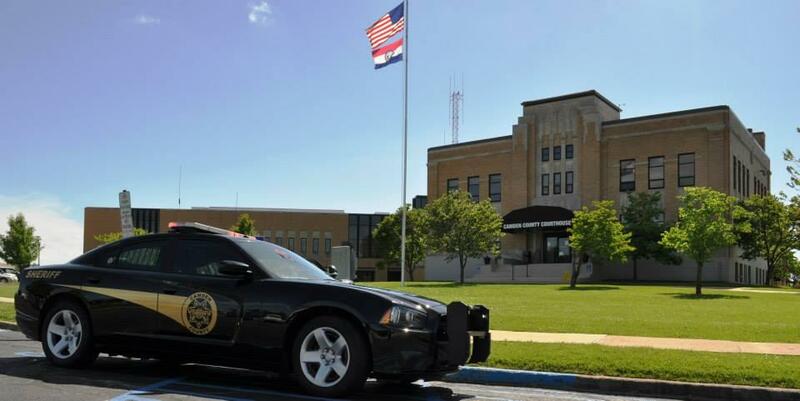 The county held a meeting to hear public opinions on the decision. Cody Harlow, associate pastor at First Baptist Church in Camdenton just down the road from the courthouse, said he couldn’t get into the meeting because there were so many people he couldn’t find a parking spot. “You find that everyone’s pretty much on the same page here that there’s no problem with this. Quit taking away our rights to run our local government the way that we want to. And so that’s kind of the general consensus that I’ve found with the people that I’ve talked to,” Harlow said. McNamara argues against this point saying that the constitution applies the same everywhere. He says it is crucial that religious symbols be removed from government spaces. He says the government should remain neutral so that every citizen feels equal. “They all know that they go into that courthouse on equal footing, as equal citizens and that they’re all the same in the eyes of the law and that their religious beliefs have nothing to do with how they will be treated by their government,” McNamara said. McNamara says he intends to send another letter in response to Camdenton officials that will once again urge them to remove the mural.